Curious about what being a brand ambassador for Coca-Cola involves? You are in the right place! This is an amazing paid opportunity for an entire year-long job with Coca-Cola. We have reps across the country who love Coca-Cola. Find out what our current reps are saying to see if this job would be a good fit for you. To be considered, you will need to complete the Work for Coca-Cola application in its entirety. If you get accepted, we will send you on an all-expense paid trip for training in Atlanta, Georgia where you will meet other students working for Coca-Cola from around the country. Meet a few of our 2018-2019 Coca-Cola Campus Ambassadors. Below are some common tasks that you will be doing as a brand ambassador for Coca-Cola. You will be required to attend training in Atlanta, GA (all paid trip!) as well as attend monthly webinars and/or meetings. Throughout the year you will be required to host several sampling events around campus. You will need to provide documentation of the event using our Go Commando App. 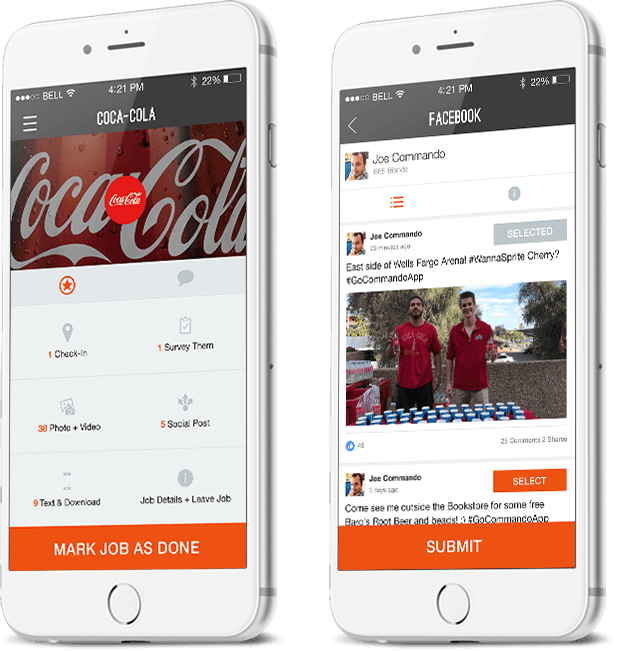 Utilize social media throughout the year using #iworkforcoke to encourage your peers to drink Coca-Cola and let other students know about sampling events happening on campus.